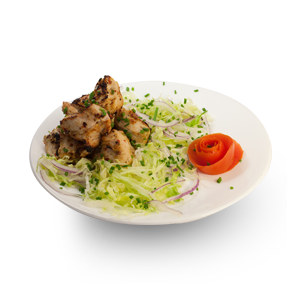 Afghani chicken kebab is a delicious dish straight from the line of Mughals. Kebabs are served for special occasions in Afghanistan as well as for picnics and other family gatherings. Mildly spiced, this is an easy chicken recipe that is low on time and effort required.